All Rights Reserved.- Use of NCJLA materials are limited to the NCJLA approved activities only. NCJLA Clubs and outside organizations must request permission from the NCJLA. 2018 Girls 8U &10 Festival and Flighted Tournament Info Sheet *- Information about event venue, parking, field locations and game rules. 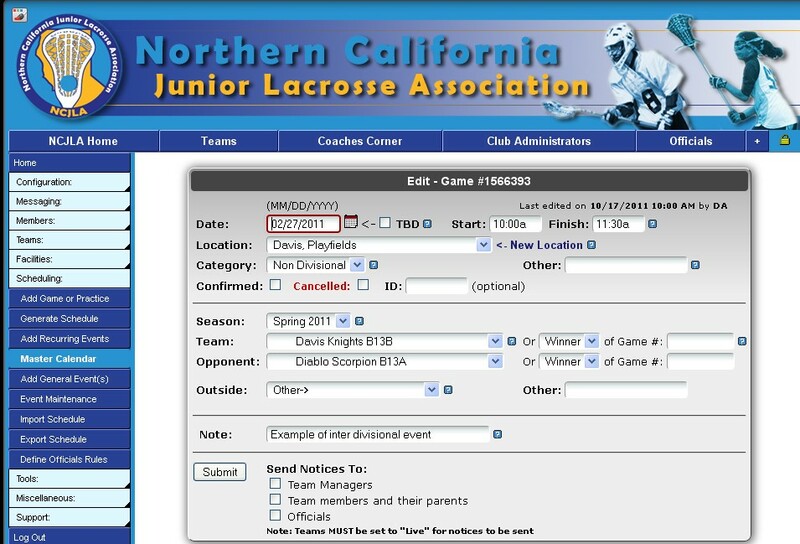 How do I add a field to the list of NCJLA fields *- How do I add a field to the list of NCJLA fields? How do I register a team? 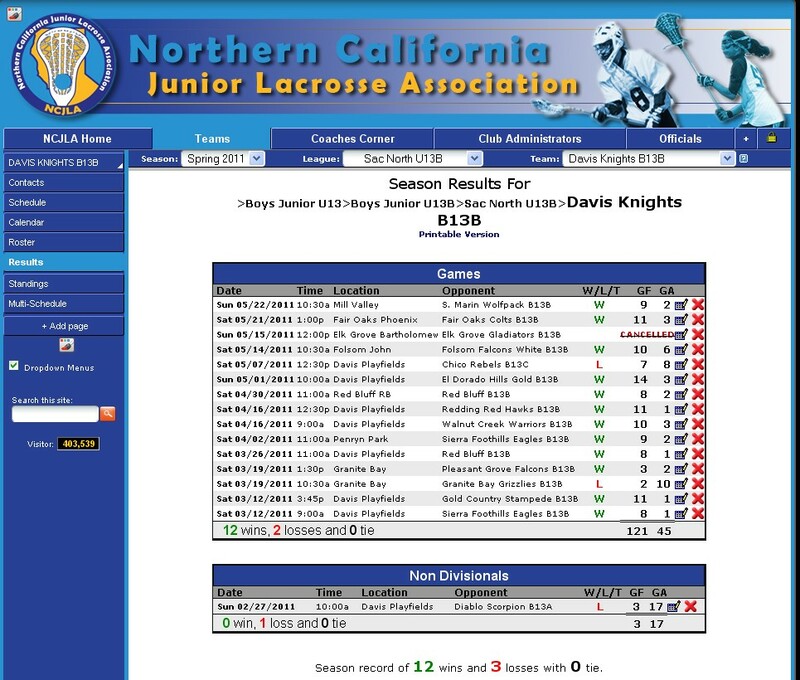 *- How do I register a team in the NCJLA? How does the home team load a game? *- Instructions on how the home team loads a game. Update Arbiter profile *- How do I update a clubâ€™s Arbiter profile contact information and add an additional phone number? 2019 Play Out of Area Decision Tree *- Recommended that clubs use this document to determine if a player should play for their club.